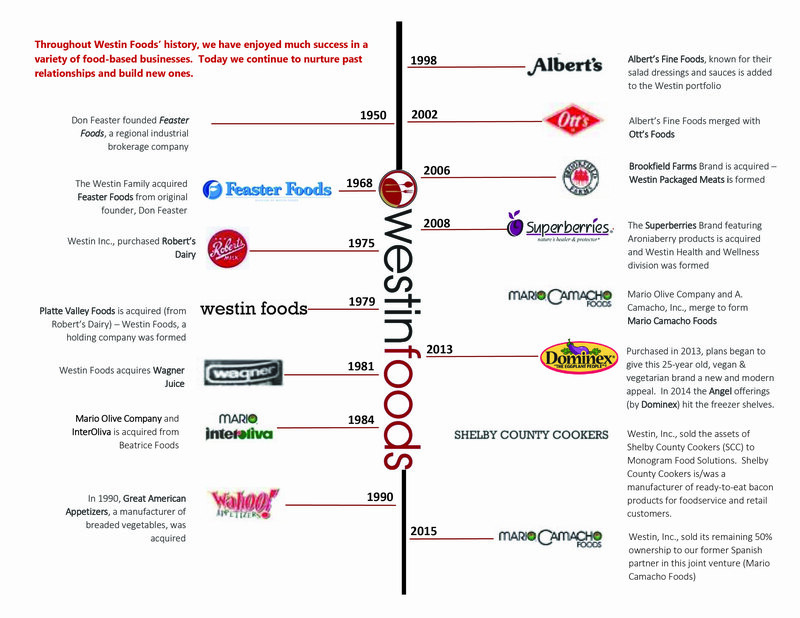 Westin Foods has been in the packaged food business since the 1950’s. Our success in start-up and acquired companies is due to our food industry knowledge and experience. We market our own brands and produce private and controlled label products for a host of America's most popular food brands including retail, grocery and restaurant chains. We know how to operate and grow companies. From supply chain to production, from development to sales, we understand the business cycle and have been masters at recognizing strengths and finding those areas within a company that need a stronger foundation for success. We are hands-on. In order to believe in it – you have to be in it. Success oriented and results driven companies are what we are looking for. If this describes your business, the time is right to begin the conversation. We build, we strengthen, we grow and exit only when we can no longer add value and the time is right for a sale.